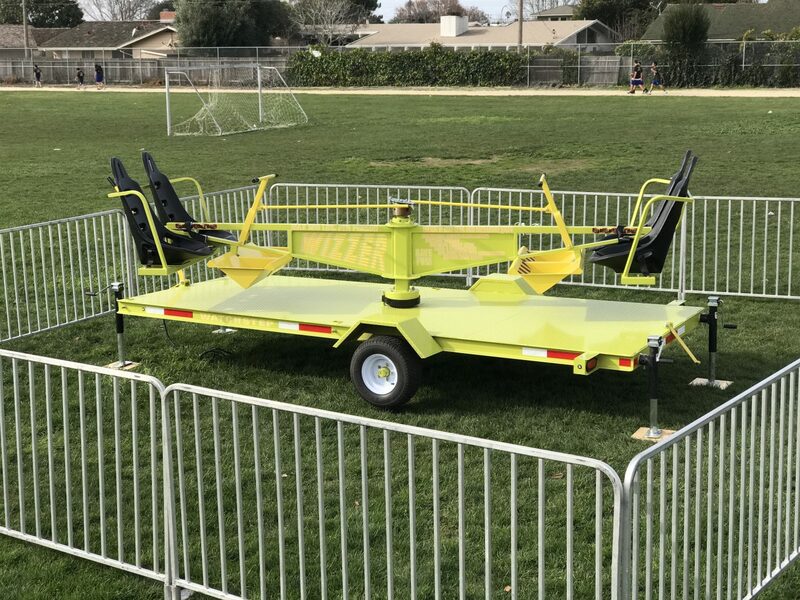 The Wizzer Seats 4 People At A Time. 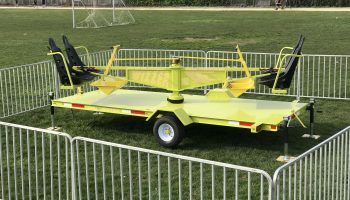 A new addition to our rides for 2017 is the Wizzer Carnival Ride Rental. Your guests will keep coming back for more. 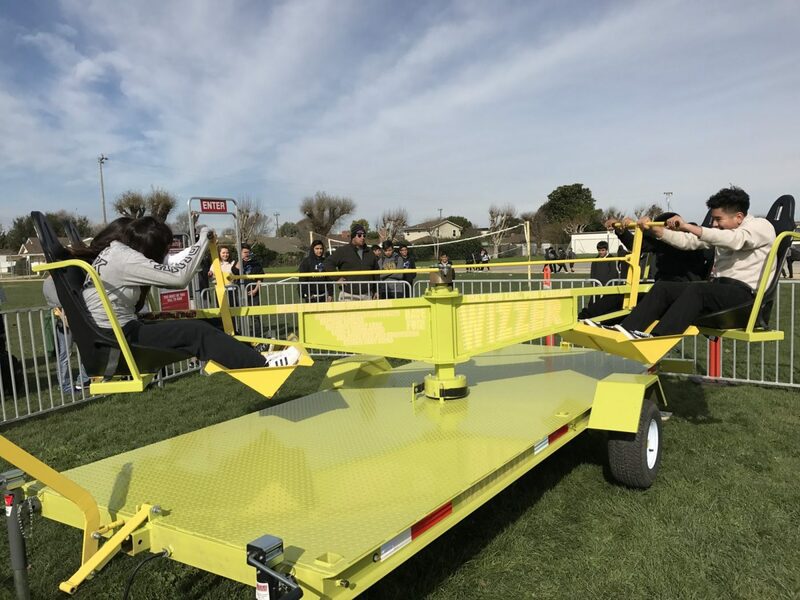 The Wizzer Carnival Ride Rental holds 4 participants and they use their own power to spin themselves around and around. The faster they pull the lever, the faster they spin in circles. You will hear laughing, shrieks, and screaming as the wizzer creates G force. 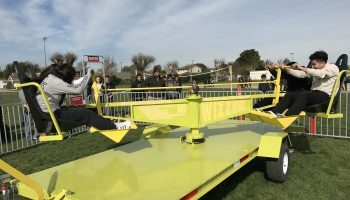 Your guests on the Wizzer Carnival Ride Rental will stick to their by the G forces this creates. 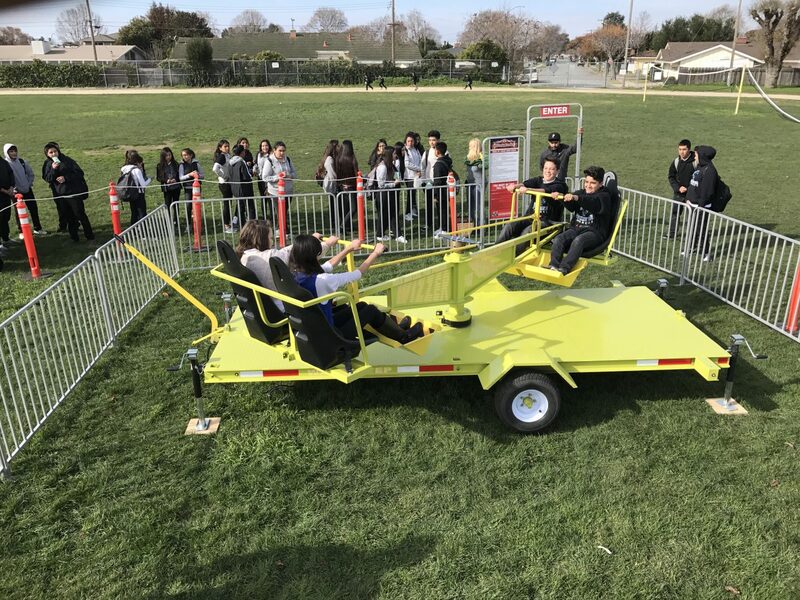 Our Wizzer Carnival Ride Rental comes with a trained operator at all times. Our staff will make sure that everyone adheres to the height and weight requirements. 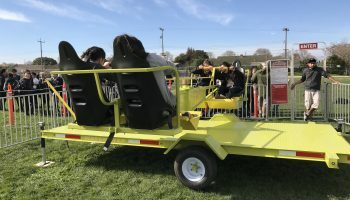 The Wizzer Carnival Ride Rental is the only mechanical attraction we have that doesn’t require any electricity. 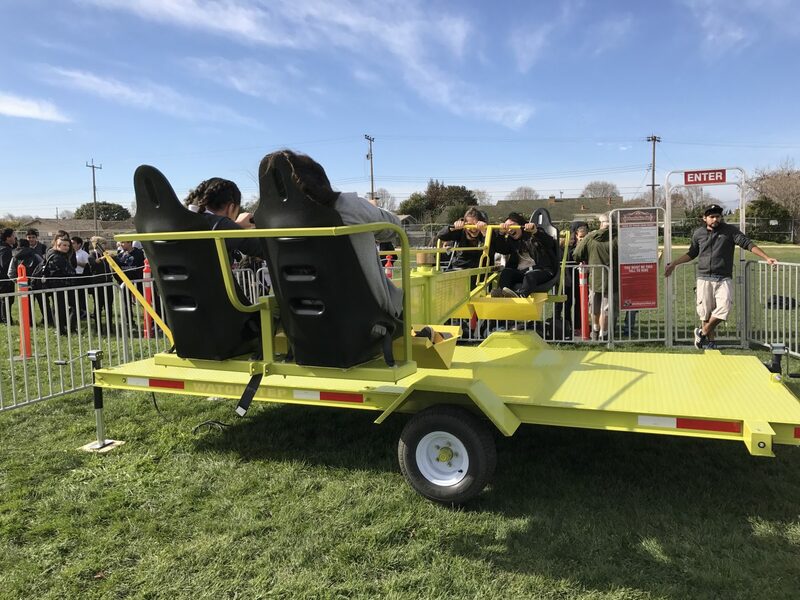 We rent and deliver all our carnival rides in Northern California. We service and operate in the cities of San Francisco, San Jose, Palo Alto, Oakland, Pleasanton, Monterey, Santa Cruz, Paso Robles, and San Luis Obispo. 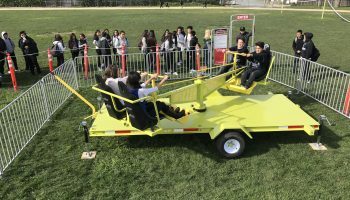 Bundle this ride with the many other great attractions we offer. Special Requirements: requires a Lets Party staff member to operate at all times. Staff will adhere to height and weight requirements.